Adobe Illustrator is a vector graphics editor, developed and marketed by Adobe Systems. 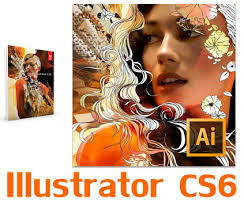 Illustrator CS6 is the latest version of this program, for the sixteenth generation Illustrator product. Vector is, the image is not formed from a collection of point but are formed of a number of lines and curves. Because this vector image type is not made ​​up of dots, the image is magnified if the display still will not lose detail so that the image quality remains good. Examples of this images is: text and logo. The software is often used for image processing of this type of vector is Illustrator, CorelDRAW, Freehand, Inkscape and others. 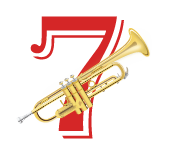 CS6 version is the sixteenth generation of Adobe Illustrator. Adobe adds more features and some bug fixes. Adobe Illustrator has the capabilities, features and facilities that can be relied upon to realize your creative work. Adobe Illustrator is a user friendly, which is very easy to use so that they can access a wide range of features, especially with the grouping system facilities through the menu, toolbox, palettes and so on. This software is capable of handling a variety of design work, from the simple to the very complex character, and be able to export the final results of a design in a variety of formats to suit your needs with reliable quality. Double click on Adobe Ilustrator’s icon. When the small window pops up and asks “Delete the Adobe Ilustrator Settings File?“, click Yes. Go to your Home directory > Library > Preferences > Adobe Illustrator CS Settings. In this folder, delete the file called ‘Adobe Illustrator Prefs’ and empty the Trash. In ‘My Computer’, Go to Documents and Settings > User > Application Data > Adobe > Adobe Illustrator CS Settings. Delete the file called ‘Adobe Illustrator Prefs’ and empty the Trash on your desktop. Warning! This procedures will delete any custom settings you have, including document and print presets, transparency flattener presets, and custom stroke styles, and restore all the settings to the defaults. Read also “How to Reset Preferences in Adobe InDesign to Improve Performance” and another guides. Hopefully the article of How to Restore Adobe Ilustrator CS to Default Settings? useful for you.